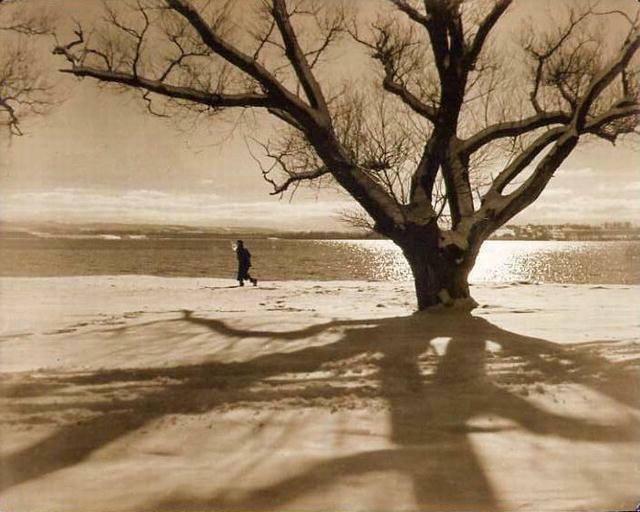 Titled: "Along Onondaga Lake - Winter". Title and notations in the photographer's hand verso. Dr. Mitchel A. Obremski (b. Poland 1904-?) was active in the Syracuse Camera Club from the 1920s through the 1940s. His work was exhibited in many significant salons of the day, including those of the Seattle Camera Club, the Camera Pictorialists of Los Angeles, the Pittsburgh Salon of Photographic Art and the First Annual International Salon of the Chicago Camera Club held at the Art Institute of Chicago in 1929. He also participated in the first International Photographic Salon of Japan in 1927. Items Similar To "Mitchel Obremski: Along Onondaga Lake - Winter"
Margaretta Mitchell "Roses, Late Summer"
Margaretta Mitchell "Winchester, View from Houghton Lodge"